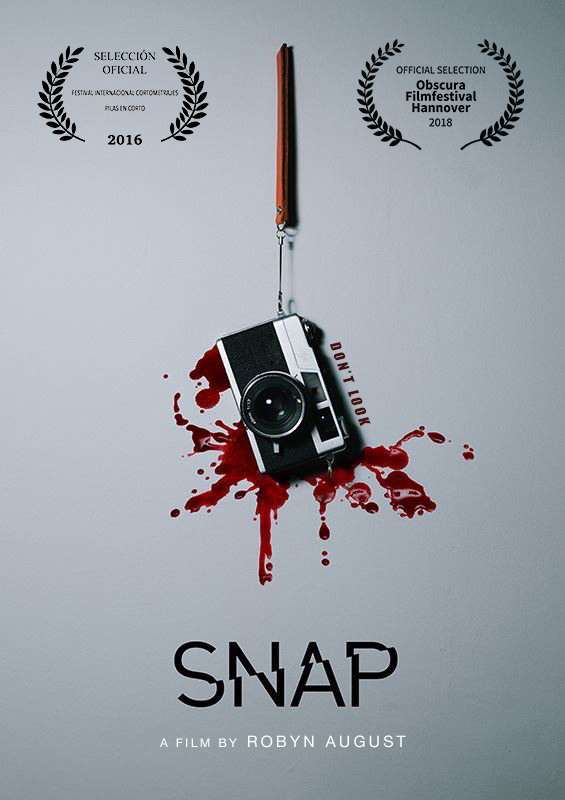 Rival Tides lead singer-turned-filmmaker Robyn August is emerging as a master of the cinema of short, sharp unease. 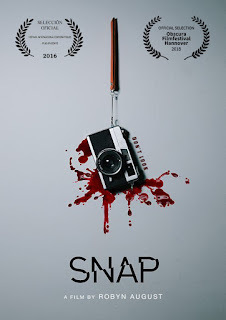 In SNAP, he takes the lead role (and sports a nifty Jason Voorhees Crystal Lake T-shirt) as a guy rooting through a bunch of old family belongings and coming across an old Pentax camera. He takes a few photographs and is confronted with increasingly sinister sights through the lens. What follows is a superbly edited escalation of dread constructed around familiar tropes of J-horror, including the photography-based spookiness and a female spectre (played by Jennifer Willens) with face covered by black hair. It makes simple, effective use of special effects and a dynamic soundscape – and the punchline offers one final frisson of fear.